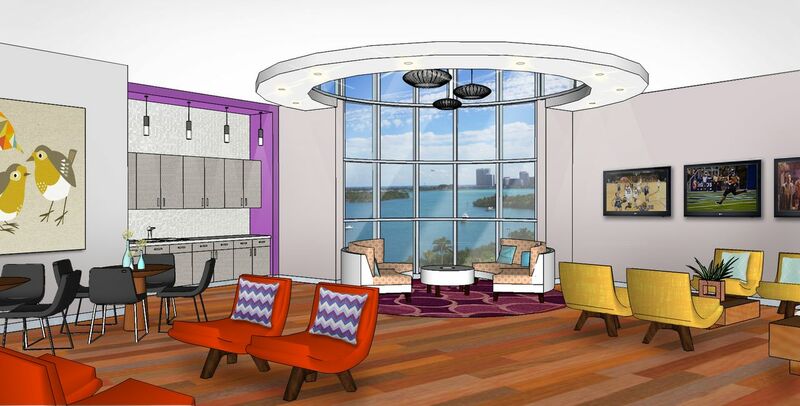 You’ll never get tired of gazing out from your new student housing onto tranquil Biscayne bay, bordered by lush palm trees and with the Miami skyline in the distance. Walk home from classes at Florida International University in a few minutes. Spend weekends kayaking and paddleboarding between tiny islands at nearby Oleta River State Park, or hire bikes to explore mangrove creeks and golden beaches. When you’ve worked up an appetite, feast on enchiladas de mole at Cheen Huaye Southern Mexican Restaurant, or tuck into shrimp creole at Little Havana, both just an eight-minute drive from Bayview. 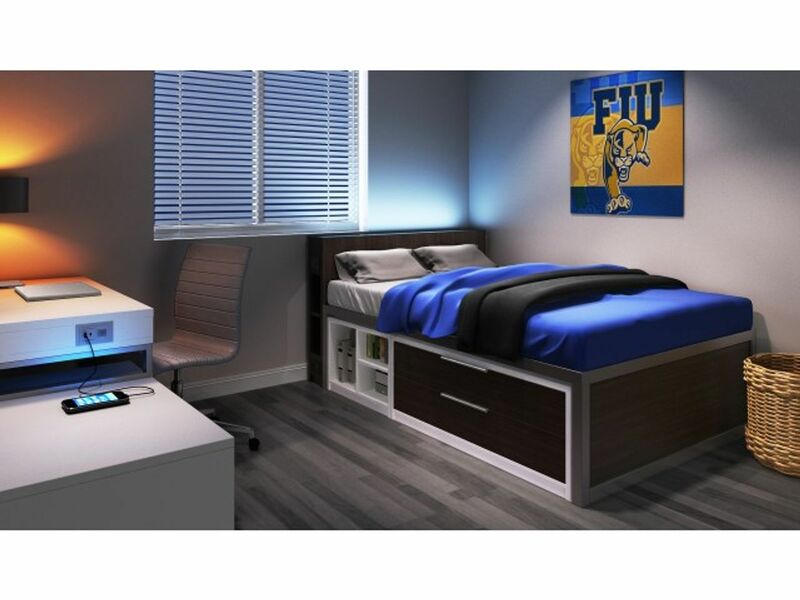 Make your home at brand new apartments at Bayview and you’re just a few footsteps away from your classes at Florida International University. 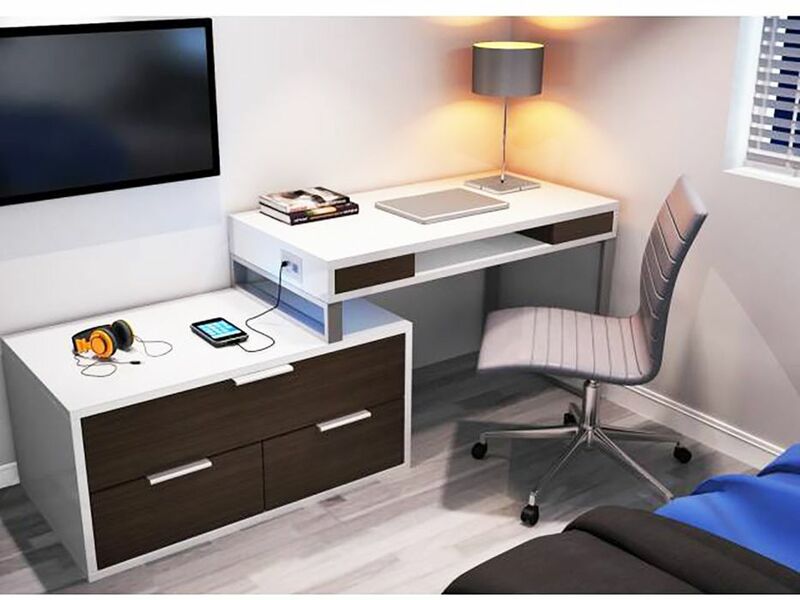 Relax on the pristine sands of Haulover Beach in less than 20 minutes from your door, or hit up world-famous South Beach and the Cuban cafés of Calle Ocho in downtown Miami in less than half an hour. Later, pick up groceries at the huge local Target, within seven minutes’ drive or 14 minutes by direct bus. Park your car back at home and head up to your comfy, air-conditioned apartment. Unpack your shopping into the stylish shared kitchens’ refrigerator and pour yourself a drink, splashing in some extra ice from the icemaker. Squeeze in a workout in the 24 hour fitness center before dinner, tossing your workout gear in the laundry afterwards. Choose whether to log onto one of the computers in the business center to study, or hook up with friends to watch TV in one of the social lounges – check out the Sky lounge for incredible views over Biscayne Bay and the city. On weekends, organize a barbecue in the outdoor picnic area before jumping into the sparkling waters of the pool. At the end of the day, check your messages in your laid-back living area using the free internet as the lights of the city skyline twinkle through the window. Plug your phone into charge at your stylish desk, before brushing your teeth in your private bathroom and sinking into your comfy bed.